A homeowner is celebrating and Network Rail are counting the cost after failing to control Japanese Knotweed that had invaded his property along a railway embankment. Network Rail, who had appealed against an earlier ruling, have been accused of paying ‘scant regard’ to the impact that an invasive plant such as Japanese Knotweed can have on local residents. The court ruled that left untreated this ‘natural hazard’ can affect the property owner’s ability to fully use and enjoy the land. During the high profile court hearing three distinguished judges sat at Cardiff County Court and unanimously upheld a previous judgement in respect of the encroachment of Japanese Knotweed rhizomes. They ruled that ‘they (Network Rail) have diminished the claimant’s ability to enjoy the amenity and utility of their property’. Japanese Knotweed is a highly invasive plant capable of growing through tarmac and concrete causing considerable damage to property as the root system can extend to a distance of 7 metres from the parent plant and reach a depth of 3 metres. While not impossible to treat, it is extremely difficult to fully eradicate. Untreated, it can have a negative effect on the successful sale and purchase of a property; financial institutions are likely to dismiss any mortgage applications where Japanese Knotweed has been found to be present. “This is a great result for my client and for homeowners up and down the country. For far too long landowners like Network Rail have paid scant regard to the impact that their failure to adequately treat Japanese Knotweed has had on their properties. Hopefully now organisations like Network Rail will take their responsibilities seriously and remove the knotweed on their properties”.  If you suspect that Japanese Knotweed is growing near or within your property’s boundary, please contact Japanese Knotweed Control immediately and we will arrange to carry out a FREE survey. Or you can check by download our plant recognition App.